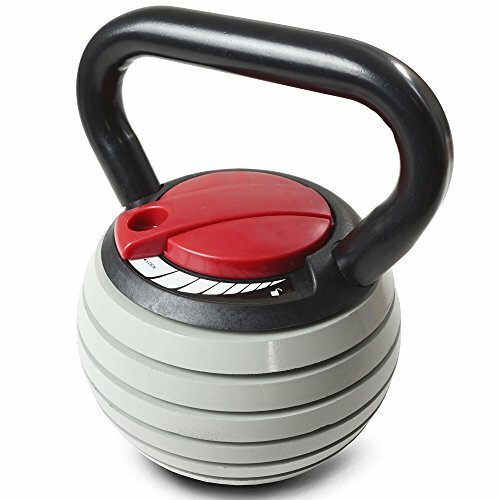 The adjustable kettlebell from Titan Fitness is ideal for explosive exercises that work major muscles, build power, and burn body fat without needing a whole rack to get a great workout. Customization is the name of the game: easily convert from 5 lb up to 40 lb by releasing the simple lock mechanism and adding extra weight plates, which make them perfect for group workouts. You'll also save money, space, and time, since you won't need to invest in multiple kettlebells to enjoy variable levels of intensity. Additionally, the powder coated finish is durable, and made to last for years or tough use.